Setting up WiFi on the Raspberry Pi can be a little tricky for new users, especially those not using the main Desktop interface. It involves editing files in the Terminal which is a normal task for most of us, but probably a bit daunting for anyone just starting out. It’s easier than you think, and takes no more than 10 minutes. There are lots of benefits of having a WiFi enabled Raspberry Pi. A very common use is to run the Pi without a monitor, allowing you to SSH in to the Pi or even use VNC to see the full desktop on your PC/Laptop. WiFi on the Pi also lets you make cool ‘connected’ projects – I’ve seen it used in bird house monitors, fish tanks and also in my Raspberry Pi CCTV system! Media Centres benefit as well. Using a WiFi adapter lets me set up a RaspBMC media centre connected to my NAS in rooms with no ethernet ports, which is great for streaming music and videos around the home. Let me show you how to set up WiFi on your Raspberry Pi! As always, I’m going to try and bring you a simple version of the truth here. There are lots of additional steps you can take when setting up WiFi, but I don’t really find them necessary. For example, there is a process you can follow to make sure that your WiFi adapter is being recognised by the Pi correctly, and the driver loaded. I used to do this every time, but soon stopped bothering as I’ve never had an adapter not recognised on any of my Pis, using all different kinds of adapters. This tutorial is showing you the simple steps I take every time, which works (for me) – every time. First, connect your screen, keyboard, mouse and WiFi adapter to the Pi, turn it on, and log in to the Terminal as usual. Once you’re in there, you want to edit the text lines so it looks the same as my screenshot example below – you’ll have most of it in there already. This part sets up Ethernet as well in case you ever need to use it (thanks to Dougie Lawson for the ‘auto eth0’ tip). Press ‘Ctrl+X’, then ‘Y’ to save, then finally press ‘Enter’ to save the file under the same name. You can add more blocks of this text if you want to set up your Raspberry Pi for multiple networks – good if you travel with your Pi and want it to automatically connect to different networks depending on where you are. Although up to this point my method of getting WiFi working had been fine (i.e. the rest of this guide), I always found it somewhat unreliable at times. WiFi would hang, drop out and generally perform poorly. Save the file by pressing Ctrl+X, under the same file name. That should sort out any iffy WiFi connections – it did for me! As before, I’ve skipped some of the steps to initially test that the adapter is working as I’ve never come across an instance where this hasn’t worked (unless I’ve got my SSID/Password wrong). We do run a quick test after reboot though. To test if your Pi is now indeed WiFI enabled and connected to your network, I usually use an Android app called ‘Fing’ which shows all devices on your network. You can do this the traditional way by logging in to your router, but I find using my phone quicker. 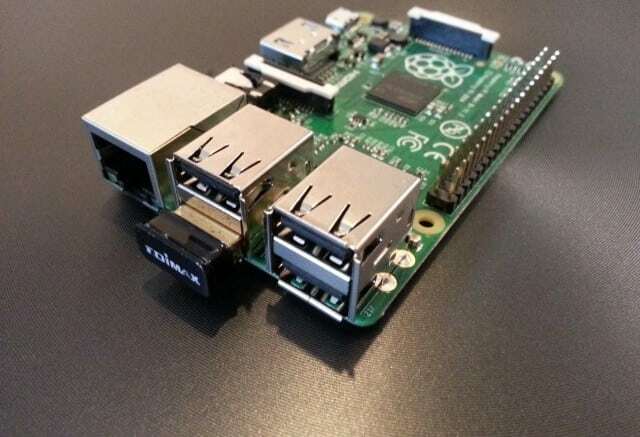 That’s it – your Raspberry Pi is now running WiFi! You can now use tools like Putty to SSH in remotely just using the IP address, username and password. I hope you’ve found this tutorial easy to follow – I think some of the other guides out there give you a lot of steps that aren’t necessary for the ‘average’ user just wanting to get WiFi up and running…although I’ll probably eat my words if I come across problems one day! 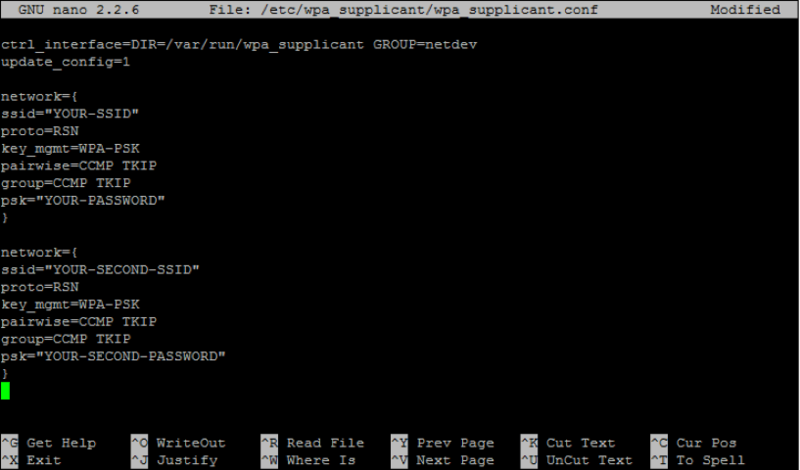 Lastly, if you want to configure WiFi using the GUI – Raspberry Pi Spy has a great tutorial over on his site. If you get stuck, please comment below. 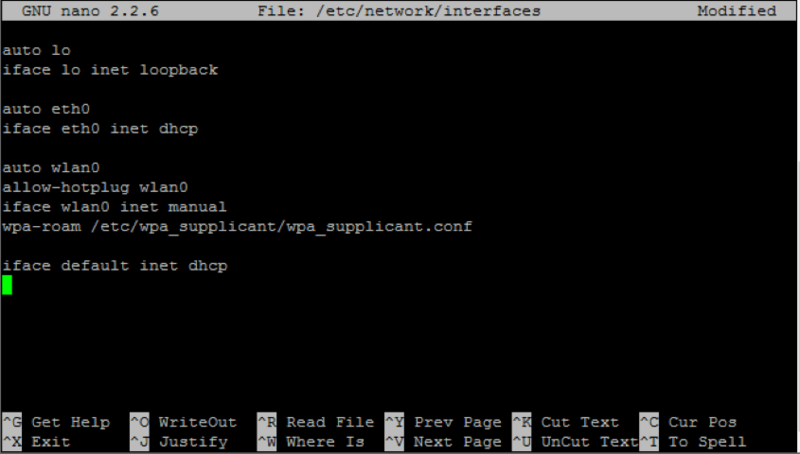 5 Comments on "How To Set Up WiFi on the Raspberry Pi"
to your interfaces file. If you don't have WiFi and choose to use an ethernet cable the interface won't come up active and you won't get a default route assigned. Ah yes, good shout. I'll update now. I rarely use Ethernet which is probably why it isn't in there. 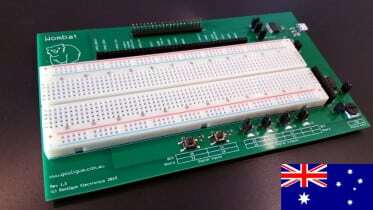 How do I set a special Channel? In Germany we can also use channel 12 and 13. Do I have to configure something somewhere? I haven’t done that myself – I’m actually using my only Pi 3 as a media centre as I couldn’t resist the extra power! Try the official forums, I imagine you’d get a reply the same day. 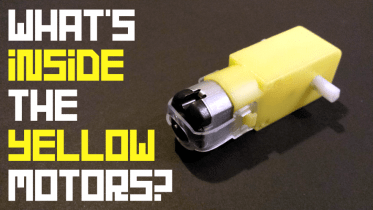 What’s Inside The Yellow Motors?